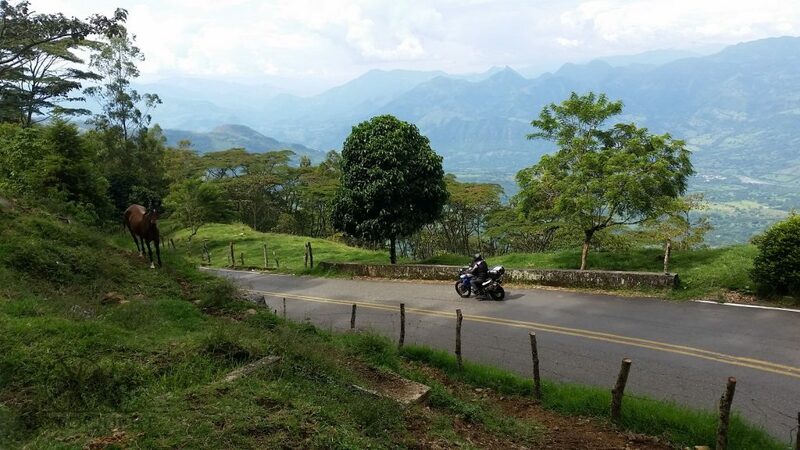 To put it simply, Colombia is a gem of South America. 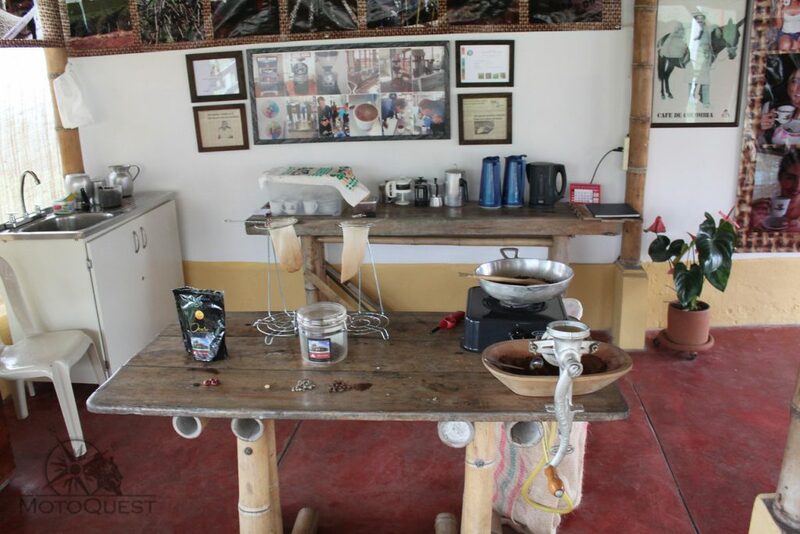 While it has become infamous for being the home of notorious drug kingpin Pablo Escobar and the international drug trade, it is also the heartbeat of America’s coffee trade, producing the world’s highest levels of the coveted arabica bean. However, Colombia is so much more than that. In fact, it is one of the most ethnically and linguistically diverse countries on the planet, with lineages that include multiple groups of indigenous peoples, European settlers like the Spaniards, forced African migration, and Middle Eastern immigrants. The resulting melting pot has produced an incredibly rich cultural heritage, which you will be immersed in on our Colombia Valleys of the Andes adventure. This two-week long journey will take you off the beaten path, sacrificing the traditional tourist traps and bustling cities for an array of colonial towns, nestled in some of the most exotic and breathtaking countrysides you’ll ever see. In fact, we put a tremendous investment in revamping this adventure, with the sole focus of making the experience better for you. 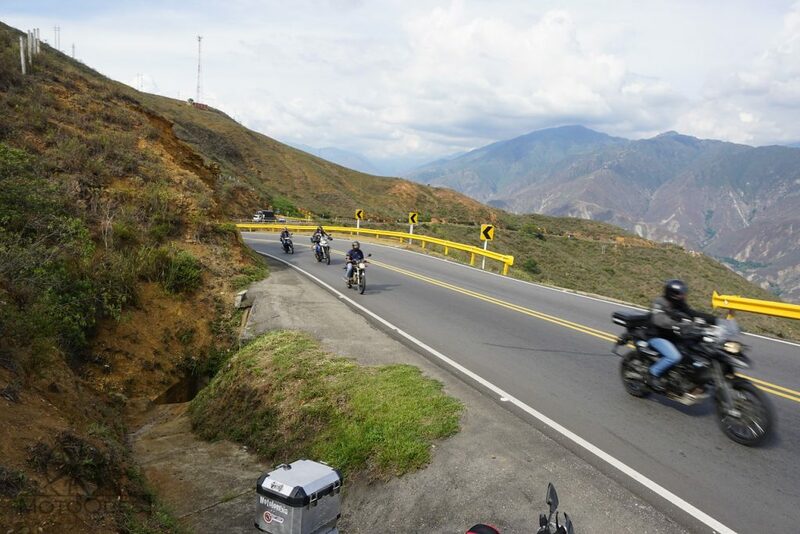 The end result includes world-class riding and extraordinary bio-diversity that solidify this Colombian adventure as a once in a lifetime experience. While you’re sure to be intoxicated by the beauty that surrounds you, the pure genuineness of the natives that inhabit these colonial towns will make you feel like you’re one of their own. Each respective town remains true to its heritage, virtually untouched by tourism. That means you’ll have the chance to indulge in the cuisine, visit shops and markets, and partake in activities right alongside the locals, who are overjoyed to share their culture with you. And every step of the way, you’ll be surrounded by fellow motorcyclists. 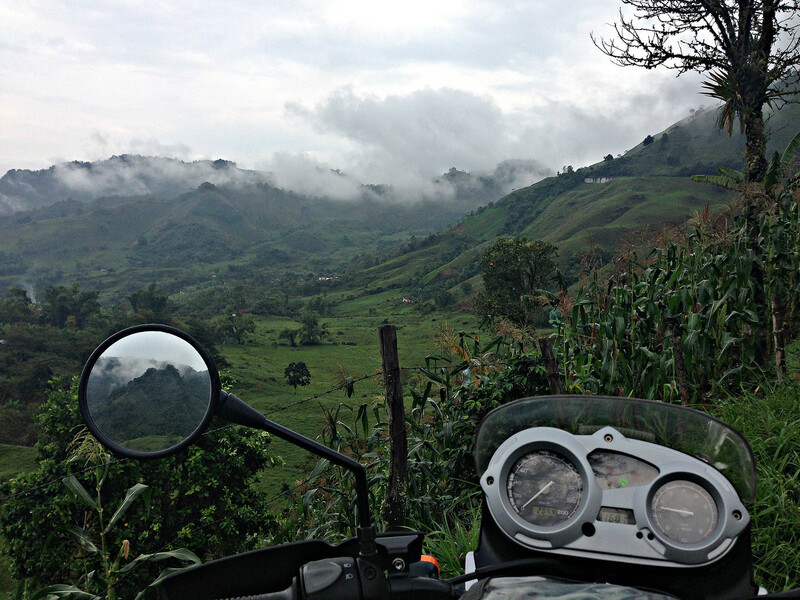 There may not be anywhere else in the world outside of eastern Asia with more motorcycles per capita, and you’ll feel right at home as we navigate our way through the valleys. Our Colombian adventure will start and end in the same place, Cali. This is the third-largest city in the country, behind the capital of Bogata, and will be the only portion of the tour where you’ll experience the stir of urban sprawl. But there’s a reason for that. Cali is the undisputed global epicenter of salsa dancing. While the iconic dance didn’t originate here, Navy sailors introduced it to locals, sharing what they learned in clubs from New York to Cuba. Natives enhanced the dance with high energy, uptempo beats that then took the country by storm, ironically, with the help of drug cartels. It remains one of the core elements of modern Colombian culture, and chances are, the salsa you think you know originated here in Cali. Since our adventure is in the heart of the Andes, virtually every leg of the tour will be defined by twisty ascents and descents. If you love curves (who doesn’t? 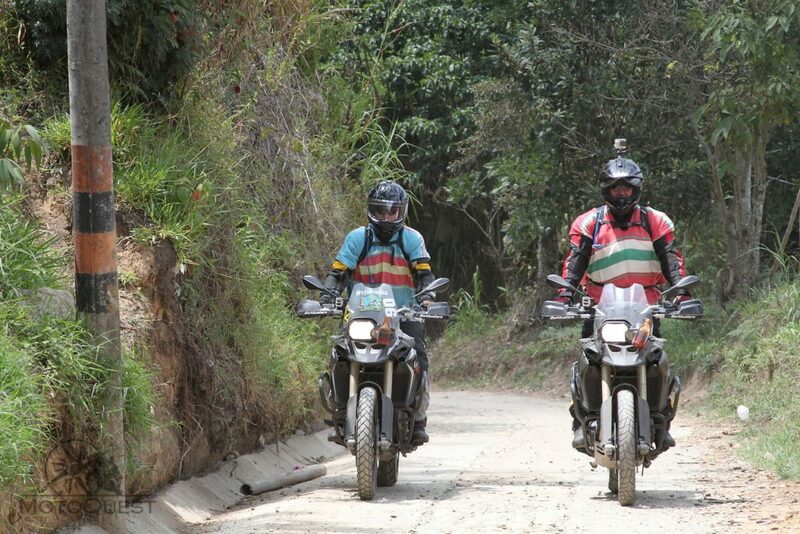 ), then this is the adventure for you as you’ll quickly lose count of the number of times you lean your steed as we traverse through the largest continental mountain range in the world. While we’ll only trek across a very small portion of this 4,500-mile expanse, you’ll easily appreciate its grandeur. Along the way, the numerous colonial towns that we’ll stay in reach as far back as the mid-1500s, where cobblestone roads and meticulously preserved buildings take you back in time. The municipality of Villa de Leyva is undoubtedly one of the highlights of the adventure. Founded in 1572, this town is a UNESCO World Heritage Site, as little has changed developmentally over the past 400 years. The centerpiece of Villa de Leyva, Plaza Mayor, is spectacular when you consider how long it’s been standing, and there’s no shortage of places to explore in the surrounding community. Our first free day of the tour is scheduled for Villa de Leyva, and we encourage you to engage with the locals to discover the best this historical village has to offer. Another town you’ll want to take advantage of is Salento. 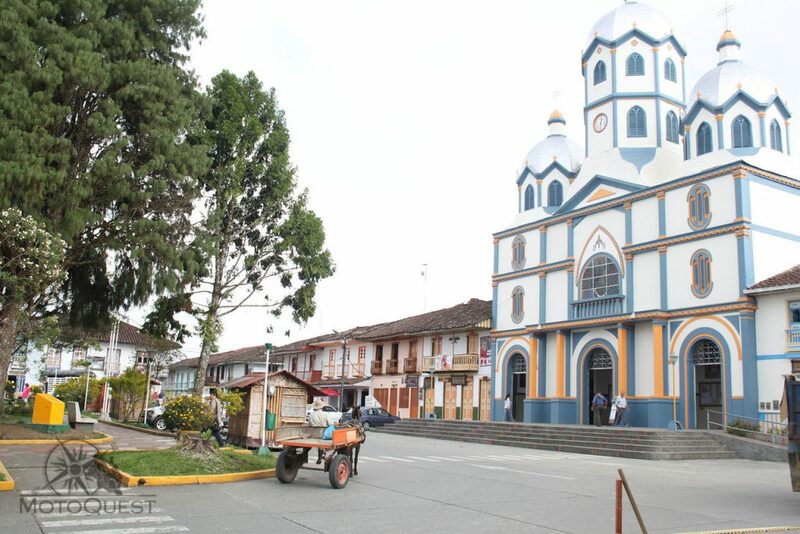 As thoroughfares in Colombia continued to arise, this once busy village became isolated from the modern world. As a result, Salento developed at a considerably slower pace than its neighbors and to this day has retained a quiet and relaxed way of life. We’ll embrace this wholeheartedly with a stay at a local farm, allowing you to fully appreciate the tranquility. Fortunately for you, one of our free days is scheduled during our stay in Salento. Feel free to stay behind and be charmed by its colonial architecture, where splashes of color accent the walls. Or venture out to the countryside and look in awe at the towering heights of the world’s tallest wax palm trees. Either way, don’t hesitate to pull out your camera! 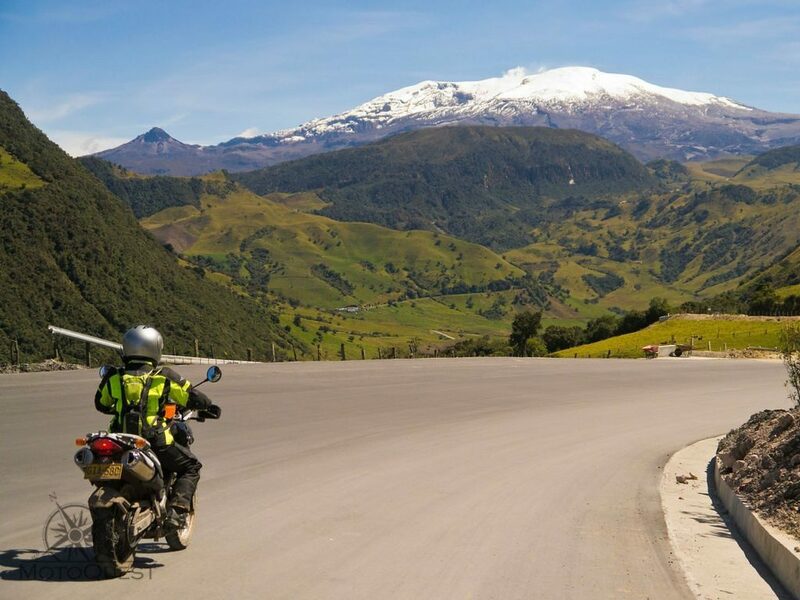 With its carefully curated itinerary, curvaceous roads, and many of the oldest villages in all of South America, the Colombia Valleys of the Andes is what we consider an adventure in its truest form. This is a once in a lifetime opportunity to immerse yourself in the culture of a country that still remains in relative obscurity to the business of tourism. That means you’ll reap the benefits of truly memorable and transformative experiences, like joining in on a game of the ancient sport of tejo with the natives. As you throw the namesake puck at the board, and hopefully luck out with a hit on one of the bags of gunpowder, the literal explosion of success that ensues will force you to ask yourself, “Am I really in Colombia?” The answer is a resounding YES, and to top it all off, you’ll be surrounded by broad smiles from the Colombians who are equally as excited for your accomplishment. Are you ready? Now’s the time to book your trip to Colombia!